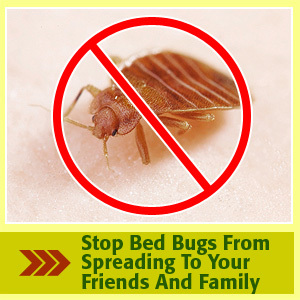 Bed bugs and their ilk – nocturnal creatures that live in linens, sheets and other corners of the bed, can bring not only lack of sleep but also a ton of health problems like skin rashes that can lead to serious complications if left untreated. So the first solution to take care of this particularly nasty home problem is to check up on homemade ways to kill them. These are inexpensive methods of getting rid of these pests without having to resort to your friendly neighborhood exterminator. In the old days, it was believed that homemade mixtures from either the black cohosh or the eucalyptus were effective in repelling bed bugs. In later years, mixing chemicals like turpentine mixed with henna, flowers and alcohol was believed to be an effective insecticide against bed bugs. Still in the 19th century, a wider, more varied version of bed bug insecticide composed of infused oil of Melolontha Vulgaris (a kind of cockchafer), fly agaric, Actaea (e.g. black cohosh), tobacco, “heated oil of Terebenthinia” (true turpentine), wild mint, narrow-leaf pepperwort, Myrica (bayberry), Robert Geranium, bugbane, Cannabis herbs and seeds, “Opulus” b erries (possibly a kind of maple) and bugs did the trick. But studies done on these concoctions didn’t prove any effectiveness towards getting rid of bed bugs at all. The best homemade ways to kill bugs technique is to start by locating the hiding place of bed bugs. Then you’ll need a pet food bowl (make sure Fido doesn’t get the bed bugs by mistake though by cleaning the bowl out with very hot water and soap before letting him use it again), a half-gallon thermos, dry ice (available for about a dollar a pound at any grocery store near you), fabric and talcum powder. Take the pet food bowl and tape the fabric around the whole outside portion as this will enable the bed bugs to climb in without any difficulty. Flip it upside down to resemble a moat or ditch then sprinkle the inside with talcum powder.The idea is to make it too slippery for the bed bugs to come out. T ake your half-gallon thermos then fill it with dry ice. Note that dry ice lasts for only 24 hours and should be handled only with heavy-duty gloves. 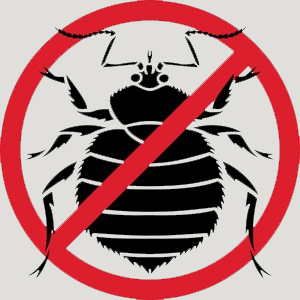 Place the thermos with dry ice on the top of the bottom side of the food bowl, leaving the top cap open so that it falsely emits carbon dioxide to lure the bed bugs. Leave this at your bedside. Or if handling dry ice is too complicated, one can always resort to cleaning the bedroom top to bottom using very hot water and soap. Wash all bed sheets, pillow cases and blankets, dry clean comforters and quilts. Wrap mattresses and box springs in tear-resistant plastic with zippers to ensure that the bed bugs don’t get to transfer or to make sure any bed bugs still left are contained and die. Plug up any holes in the walls, keep your bushes by the window trimmed and vacuum thoroughly, even inside light switch and electric box covers. After vacuuming, place the vacuum bag in a resealable plastic bag before throwing it in the trash. 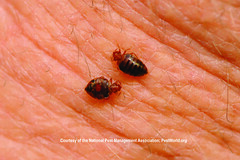 With so many homemade ways to kill bed bugs, these critters absolutely stand no chance invading homes and beds. Not without a fight anyway.